Having a growing family means needing more space for everyone and their things when it comes to taking a longer trip in the car together. For optimal elbow room and cargo space, you need a minivan. Luckily, Steinbach Dodge Chrysler is here to rescue you when you need minivans for sale near Winnipeg. We've got a great selection of both new and quality pre-owned minivans for you to choose from. Whether you're interested in a Chrysler Pacifica or a Dodge Grand Caravan, we're sure to have the perfect vehicle for you and your family's needs. If you're looking for a dealership that goes the extra kilometre for your needs, you'll find it at Steinbach Dodge Chrysler. Are you looking to save some money on your next minivan? Take a look through our pre-owned inventory and find a quality used Pacifica or Grand Caravan for less. We've carefully inspected every pre-owned vehicle before making it available to you so you know it's safe and reliable before you buy. You can also request your complimentary CarProof vehicle history report to know every important detail about the vehicle you're interested in so there are no hidden surprises later on down the road. Purchasing a used minivan is a great way to save some money if you still want to keep your current vehicle for when you don't need a lot of space--like commuting to work-so you can save the minivan for the longer road trips. Get started today by visiting us at 208 Main St, in Steinbach MB or call 888-458-5094. When you come from far away to buy a vehicle, we'll cover your hotel. When you choose Steinbach Dodge Chrysler for your next minivan, you'll have a lot of options to choose from. We have a great selection of both new and quality used minivans like the Chrysler Pacifica and the Dodge Grand Caravan and are sure to have one that's perfect for you. Let us help you find it! We are confident that we have the minivan that will best meet your family's needs in our inventory. So, if you're looking for minivans for sale near Winnipeg, come by today! 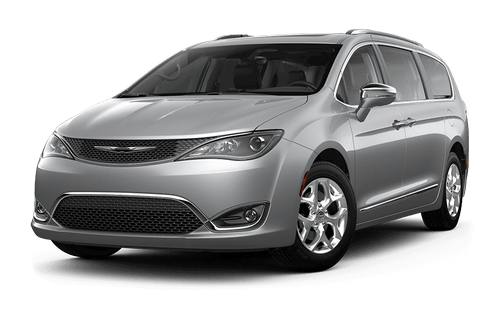 Fit up to 8 passengers and get unsurpassed highway fuel economy with the Chrysler Pacifica. You'll have space for all your passengers plus innovative storage solutions for everything they need to take along. There's also a built-in vacuum to take care of any mess left behind after a long trip. Hands-free dual sliding doors and power liftgate are available for those who always seem to have their hands full. Keep your passengers entertained with the available Uconnect Theatre with Class-Exclusive dual front seatback-mounted 10-inch touchscreens. 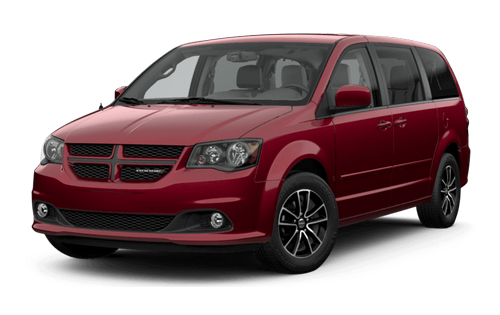 There's a reason the Dodge Grand Caravan has been Canada's Best-Selling minivan for over 34 years. Find out why when you come down and take a test drive. You'll discover it's more than capable of bringing passengers, cargo, and even some extra along for any adventure with seats for 7, up to 81 possible interior configurations, and a Class-Leading towing capacity of 1,633 kg. Get exceptional capability and fuel economy from Canada's Best-Selling engine, the 3.6 L Pentastar V6 with 283 horsepower and 260 lb-ft of torque on tap. Whichever minivan you choose, keep it running in top condition for many years and kilometres to come with regular maintenance in our Service Department. Our expert technicians will take excellent care of your minivan and have it back on the road in no time at all. You can book your appointment online using our fast and easy scheduling form and we'll be in touch to confirm your appointment and gather any additional information we may need in order to start work on your vehicle as soon as it arrives in our shop. Welcome to Steinbach Dodge Chrysler Ltd. We are your premier Dodge, Chrysler, Jeep, Ram, and FIAT dealership in Steinbach and the surrounding areas. At Steinbach, we are committed to providing you with the best customer service possible. We're the small-town dealership that treats you like family but has the inventory of a big city dealership. You won't be disappointed when you choose Steinbach Dodge Chrysler for your next vehicle. Let one of our friendly sales team members help you find the perfect vehicle for your lifestyle and your budget. Have questions? We've got the answers and are happy to provide them in person, over the phone, or online via our website contact form. We're always standing by to help you and bring you the high level of service you deserve from a dealership. Visit us today at 208 Main St, in Steinbach MB or call 888-458-5094. We guarantee we're worth the trip! Our first time buying from a dealership was amazing. Their service and staff were excellent, and very pleased with our experience. I highly recommend coming to Steinbach Dodge for your vehicle needs! Thank you so much!! If you're looking for a new or used vehicle shop here! The sales people are honest and accommodating. I was treated with respect and consideration though the whole process. They even stayed late for me! Bonnie in sales and Eitamar in finances made my truck buying experience fun, easy and stress free! My experience at Steinbach Dodge was fantastic. Great service and they made it so easy and got me into the exact vehicle that I was looking for. Definitely recommend going to Steinbach Dodge if you're looking for a vehicle and great customer service.